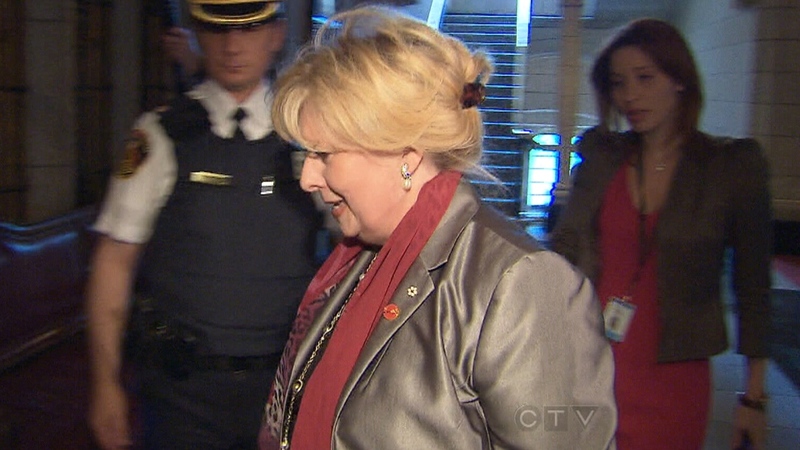 Sen. Pamela Wallin could be paying back taxpayers an additional $20,000 for improperly claimed travel expenses, CTV News has learned. The Saskatchewan senator has already repaid $38,000 in travel expenses she claimed over the last 19 months, as CTV’s Ottawa Bureau Chief Robert Fife reported in May. Just last month alone, the embattled senator reimbursed taxpayers almost $8,000 for a personal trip that she had improperly billed the Senate. According to sources, a Senate committee was told Thursday that Wallin may have to pay up to $20,000 more. Some $321,000 in questionable travel expenses claimed by Wallin is currently the subject of an audit by forensic accounting firm Deloitte. The details of the audit will be discussed before the Senate Committee on Internal Economy next week. The same firm probed housing expense claims by Sen. Mike Duffy, Sen. Mac Harb and Sen. Patrick Brazeau. However, when the audit results were released on May 9, Deloitte requested more time to review Wallin’s travel expenses. The full audit is expected to be completed mid-summer. Wallin recused herself from the Conservative caucus after learning the preliminary findings of an audit examining her travel expenses. Insiders told Fife that Wallin repaid about $25,000 before the forensic audit even began. Wallin has earned at least $1 million in fees and stock options from corporate boards since her appointment to the Senate by Prime Minister Stephen Harper in 2009. That’s in addition to her annual Senate salary of $135,000. Amid the expanding expense scandal, Senators gave the green light Thursday for the auditor general to examine all expenses in the upper chamber. 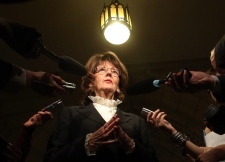 They approved a motion put forward by Sen. Marjory LeBreton, the Senate’s government leader, to have Auditor General Michael Ferguson look into all Senate expenses, including claims filed by individual senators. "I want the auditor general to come in here and feel absolutely free to go where he wants to go," LeBreton said. The Senate vote comes just a day after the House of Commons defeated an NDP motion that would have ceased all funding to the Senate. Meanwhile, NDP leader Tom Mulcair continued to grill Harper during question period Thursday over the extent of his knowledge about the circumstances surrounding Nigel Wright’s $90,000 cheque to Sen. Mike Duffy. Harper has maintained he had no knowledge of the cheque, which Wright says he gave to Duffy so the senator could repay his ineligible expenses. “Has the prime minister seen the cheque to be able to affirm to this House that he’s sure that that cheque was drawn on (Wright’s) personal account?” Mulcair asked. The Prime Minister's Office said Wallin hasn’t been given any financial help to cover her travel expenses. Cowan said Thursday he will introduce a motion requesting the auditor general conduct an expense audit of the PMO. But LeBreton said an audit looking at the transaction between Duffy and Wright is beyond the purview of the auditor general because it did not involve taxpayers’ money. “I would dare say that the RCMP, the two ethics officers, are the place for this to be handled,” LeBreton said, referring to two other independent investigations. "My read of (Cowan's motion) is it's a political stunt and it really does not have anything to do with the resources of the Senate because no taxpayers' dollars were used." Saskatchewan Senator Pamela Wallin could pay back another $20,000 for improperly-claimed travel expenses. 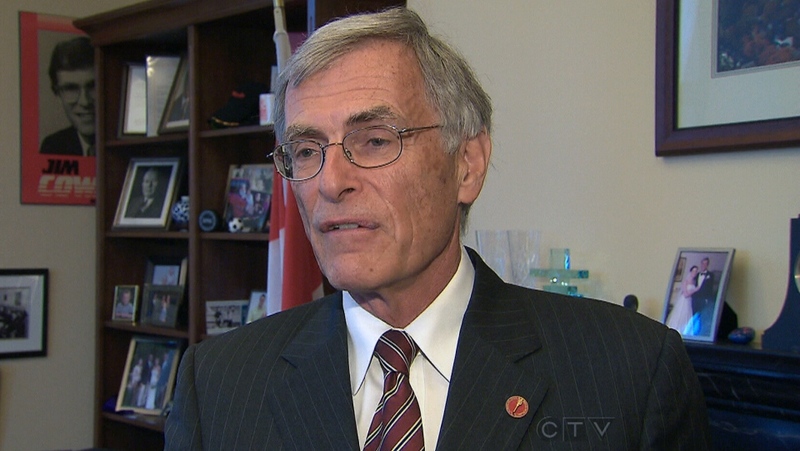 Liberal Senate Leader James Cowan appears on CTV News, Thursday, June 6, 2013.